Symptom: At the time of installation of ZTE AC2726 modem I get an error message that “Installer.exe has stopped working”. I am unable to run ZTE AC2726 modem interface after changing regional language in Windows Vista or 7. Solution: This is a very common problem we usually face at installation of ZTE modem in Windows Vista or upper versions. 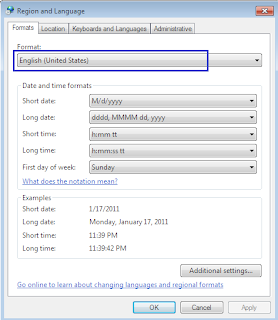 If any language is selected in regional option except English (United State), then this modem is unable to be installed or run the application (if already installed). Follow the below stages to solve. 1. 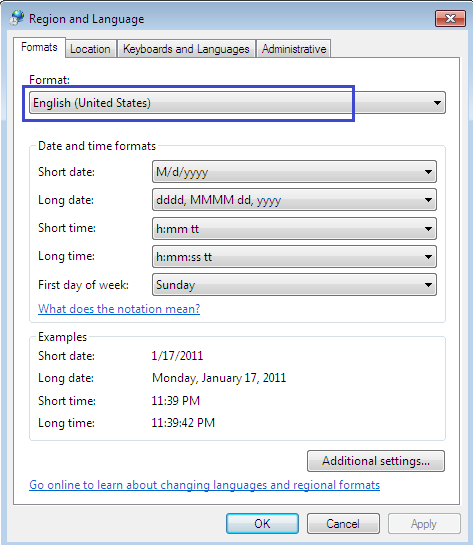 Click Start> Control Panel> Regional and Language Options> set English (United State) in Format. 2. Remove the previous installation of Zoom application (which was not successful installed) from Control Panel> Program and Features (Add and Remove Programs in Windows Xp).